Find a leak.com can help you find the right professional to find plumbing leaks like water leaks, pool leaks and even slab leaks. Using the latest leak detection equipment, these leak detectors can help locate a leak without having to break though your concrete floor or homes walls. What about gas leaks? Obviously a gas leak is a serious problem that needs to be addressed quickly. Always contact your local gas company and any other appropriate local emergency agencies. In some cases the gas companies may ask you to call a plumber to help solve the gas leak issue once the issue of safety is taken care of. Plumbing leaks can be a very costly situation if not taken care of immediately. Consider the possible water damage that may be caused if the leak gets worse or spills onto the floor and though a ceiling. A toilet leak may cause your water damage to your floor and if you're on a second floor, damage to other part of the house. While some toilet leaks can be repaired, some may require a new toilet (find information about toilets and toilets for sale). A faucet leaking or dripping may not seem like a big deal at first, but consider that a drip 24 hours a day, day after day will add up to a lot of water. Slab leaks are leaks that happen underneath your homes concrete floor. Have an unusually high water bill? That might be a sign of a slab leak. Some water leaks are obvious because you can see and hear the water running. When you can't hear or see a water leak, you should call in a professional leak detection service. Some companies specialize in just leak detection and may not actually offer slab leak repair. Keep that in mind when you search for leak detection services. A gas leak needs to be addressed immediate by a professional that knows how to find a gas leak and repair a gas leak. What should you do if you have a gas leak? Check with your local gas company for emergency instructions in case of a gas leak. Some people may attempt to shut off the gas supply or troubleshoot the gas leak problem, but you should be prepared and have a plan of action in case of a gas leak. Swimming pool leaks are very common and should be fixed as soon as possible. Pool leaks can get worse and cost you much more that just a high water bill. 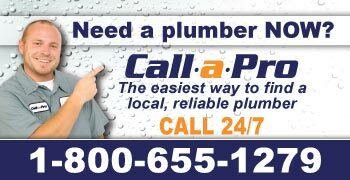 Most plumbers do not repair pool leaks. Typically you will need to find a pool leak specialist.